For residents living in the Putney district of London, Tax Agility can support you through all your personal tax requirements. Dealing with self-assessment tax returns and investment plans can often be difficult and time-consuming, which is why we offer tailored services to help you make the most out of your finances. Putney’s prime river location and numerous transport links make it an ideal place to set up a business. 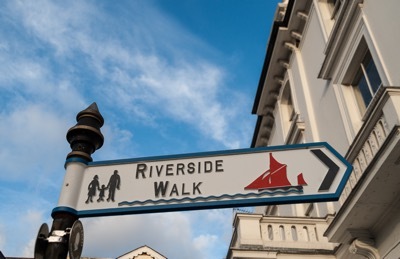 As a generally healthy area of London, with a relatively youthful population (according to statistics from I Live Here UK), Putney offers many opportunities that are geared towards business start-ups, and with a young workforce available, it is a good decision to develop your business plan in Putney. Running your own a new business is exciting and can provide high economic returns. However, it is important to be aware of the financial challenges that you may face when starting out. Developing business plans, thinking about your pension, and securing potential investments, are aspects that are crucial to think about. Working with financial professionals can ensure that you are able to move forward with your new business, secure in the fact that your taxes are well taken care of. However, as a director, you’ll likely still need to complete a personal tax return, declaring your income. This is where we can help, as we can remove the burden of you having to fill out the SA100 self-assessment form. This can be quite tricky for some people, especially if you have multiple income sources. As well as assisting Putney business owners with their personal tax returns, Tax Agility can also help individuals living in the Putney area who may be required to complete the SA100 form. Residents should take into account the necessity of completing their personal tax returns if they have additional income beyond that of any PAYE based income. Tax Agility can be there for you too with our bespoke services that offer individual support. Tax Agility offers the residents of Putney the opportunity to complete their personal tax return forms without any of the stresses or worries that come with it. We can deal with the intricacies of your tax needs, leaving you with more time to focus on the things that are important to you. Tax Agility strives to provide a unique service that can help you to improve your tax situation. Working with us can guarantee that your personal tax needs, from completing time-consuming paperwork to creating tax plans catered to your future, are taken care of.